"She was drinking in a very elixir of life through that open window." ― Kate Chopin, "The Story of an Hour"
“They did not heed the crashing torrents." ― Kate Chopin, "The Storm"
“She disappeared among the reeds and willows." ― Kate Chopin, "Désirée's Baby"
Kate Chopin (1850–1904) is an American writer best known for her stories about the inner lives of sensitive, daring women. Her novel The Awakening and her short stories are read today in countries around the world, and she is widely recognized as one of America’s essential authors. Her short stories were well received in in the 1890s and were published by some of America’s most prestigious magazines—Vogue, the Atlantic Monthly, Harper’s Young People, the Youth’s Companion, and the Century. A few stories were syndicated by the American Press Association. Many of her stories also appeared in her two published collections, Bayou Folk (1894) and A Night in Acadie (1897), both of which received good reviews from critics across the country who praised them for their graceful descriptions of the lives of Creoles, Acadians, African-Americans, and other people in Louisiana. Twenty-six of her stories are children’s stories—those published in or intended for children’s or family magazines—the Youth’s Companion and others. 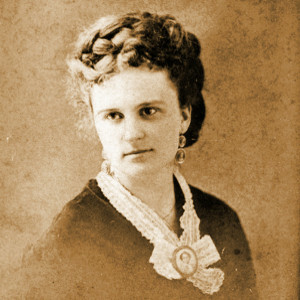 By the late 1890s Kate Chopin was well known among American readers of magazine fiction.